One of England’s new football cathedrals. 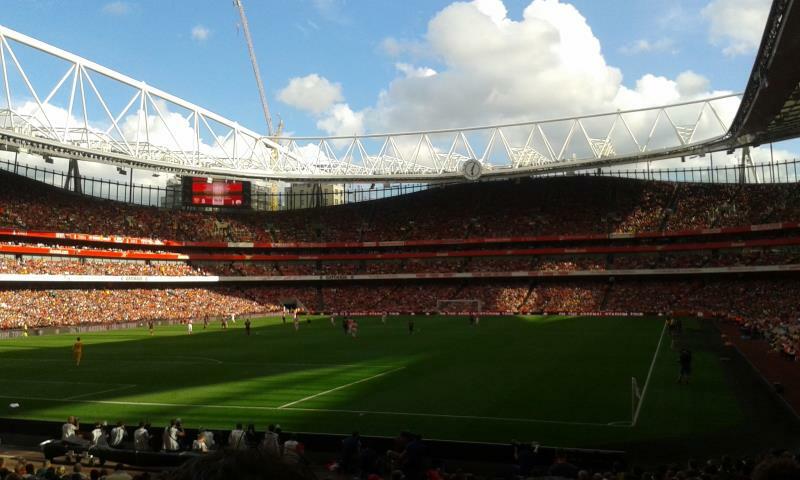 Modern, comfortable, great sightlines, but rarely with that atmosphere of the old Highbury. 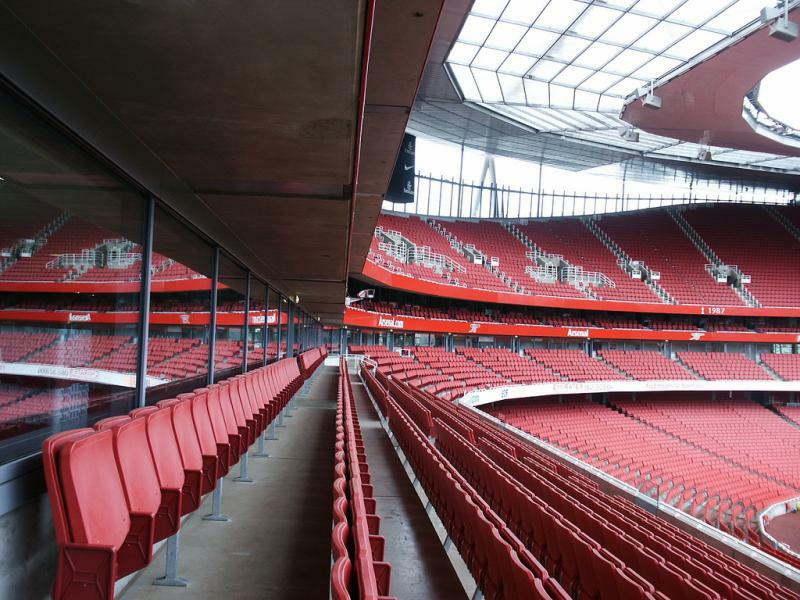 The Emirates Stadium replaced Arsenal’s previous home Highbury, which had become too small and lacked the possiblities for expansion being hemmed in by housing. First plans for the construction of a new stadium were made in the late 1990s, but also a move to the new Wembley Stadium was considered. In the end a site was chosen just a few hundred yards away from Highbury, and, after a few delays, construction of the stadium started in 2004. The total project budget amounted to £390 million. 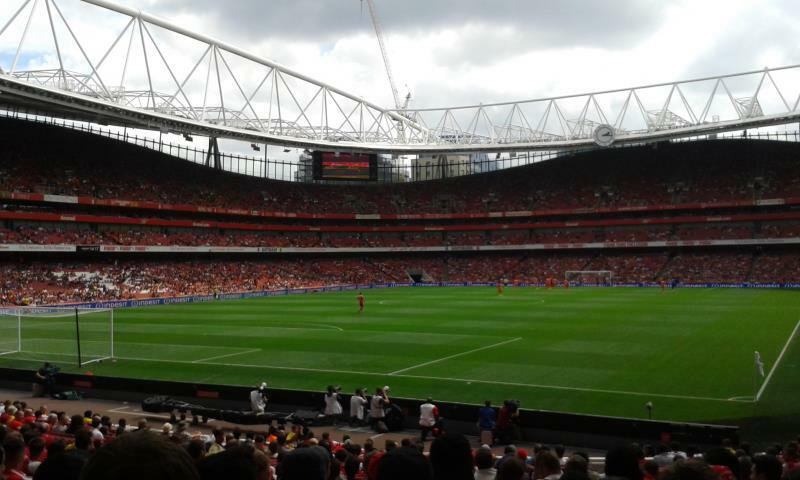 The Emirates Stadium officially opened on the 23rd of July 2006. The first match was a testimonial match for Dennis Bergkamp featuring an Arsenal and Ajax side. Due to the competition of nearby Wembley Stadium, the Emirates Stadium has never hosted the English national team, however the Brazilian national team has regularly staged friendlies at the stadium. There are multiple ways to reach the stadium by public transport. The underground (tube) is one option – the nearest tube station is Arsenal, which is on the Piccadilly line. Decent alternatives are stations Finsbury Park (Victoria and Piccadilly line) and Highbury & Islington (Victoria line and London overground). From both stations it is an approximate 10-minute walk to the stadium. The Emirates Stadium is located in the recently regenerated and rather quiet Highbury area. There are a few pubs and cafés in the immediate surroundings of the stadium, which is mainly residential, and some options to eat and drink along Holloway Road and Highbury Park road. More nightlife can be found in the Islington area on Upper Street starting south of Highbury & Islington tube station – an approximate 15 to 20-minute walk from the stadium. There are no hotels right near the Emirates Stadium, but a fair few options further north on Seven Sisters Road near Finsbury Park, which is a 15-minute walk from the stadium. The Queens Hotel and Best Western Highbury get the best reviews and go for about £100 a night, whereas the Pembury Hotel, Woodberry Down Hotel, and Central Park Hotel are more basic options. Click here for all hotels near the Emirates Stadium. Of course, as there are various tube lines passing by the stadium, you can just as well choose a stadium in any part of Central London. Tickets for Arsenal matches can be bought online, or by phone 0844 277 3625 (+44 207 649 9003 if calling from abroad). 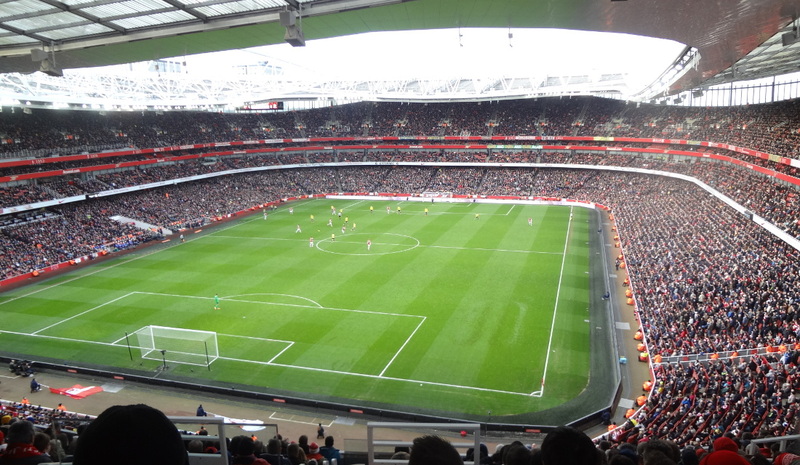 Arsenal is one of the clubs in the Premier League for which it is hardest to get tickets and one will often need an Arsenal membership to be able to acquire tickets. The most basic Red level membership currently costs £33.00 and with it tickets will generally be available in pre-sale. Arsenal matches fall into three pricing categories. Tickets for category C matches, the cheapest, start at £26.00 for most lower-tier seats and range up to £51.00 for a central upper-tier seat. Tickets for category A matches, the most expensive, range from £63.50 for most lower-tier seats to £126.00 for a central upper-tier seat. A further booking fee of about £2.00 applies. Tickets for members are a little bit cheaper. 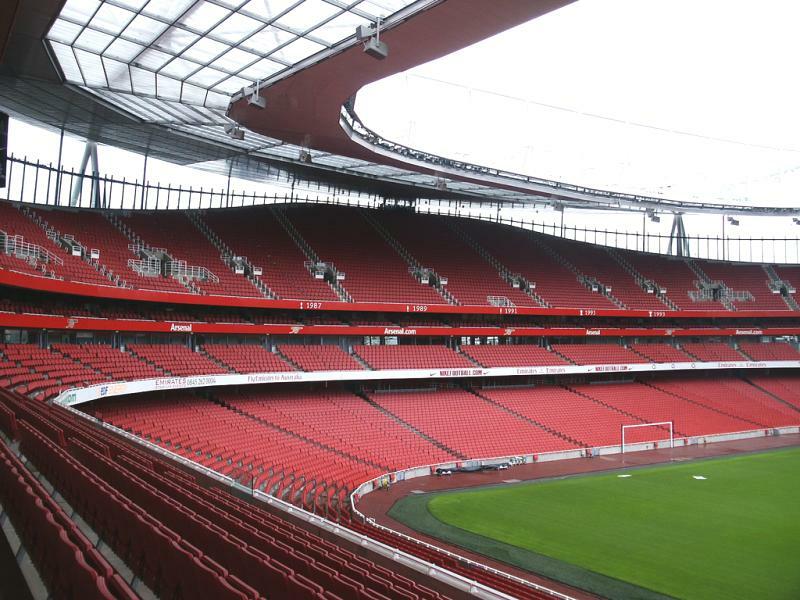 Arsenal offer the option to see the Emirates Stadium through a self-guided stadium tour. You can walk through the stadium at your own pace with the company of an audio guide. The route includes the changing rooms and players’ tunnel. Alternatively, the club offers guided stadium tours by an Arsenal legend. Both tours include access to the Arsenal museum. The stadium is opened 7 days a week for self-guided stadium tours. Entry is from 10:00 am with the last entry at 5:00 pm. There are no tours on matchdays and the stadium may close earlier on the day before a match or event. It takes anything from 55 to 90 minutes to complete the walk around the stadium. The legends tour starts every day at 1:00 pm and lasts 75 minutes. The self-guided tour costs £17.50 and the legends tour £35.00. Tours can be booked online, by phone +44 (0) 20 7619 5000, or at arrival at the stadium (self-guided tours). Arsenal.com – Official website of Arsenal FC. 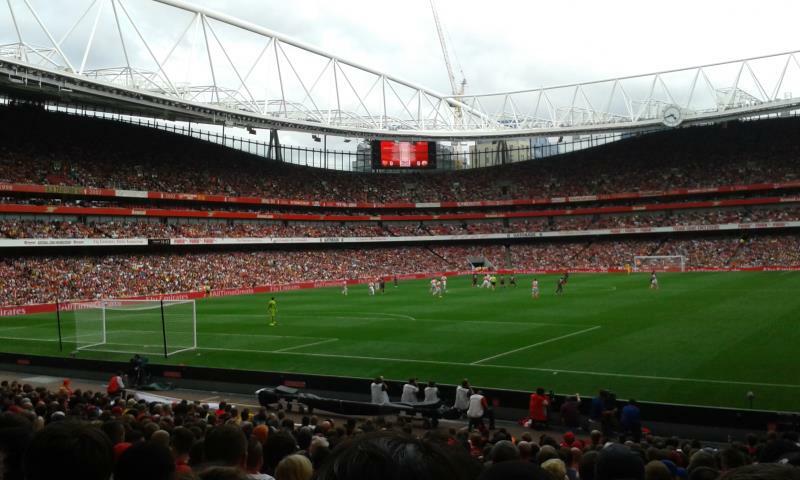 my first visit to the Emirates stadium overcame my concerns about moving on from Highbury. As soon as the players came out the hairs on the back of my neck stood up imaging the feeling those guys must have coming out of the tunnel to play in front of 60,000 people. It’s clean and tidy with plenty of room to move around without being crushed and it’s progress so it had to happen. Well done Mr Wenger, I don’t always agree with his tippy tappy football but what he has done for the club is nothing but miraculous and the Emirates is a big part of his legacy! I have been going to see Arsenal since 1970 and how things have changed! Whenever I come to England from Canada, the emitates stadium is my faviorite place to go. The stadium has a millennium feel to it. The seats are padded, lots of leg room, and has a great view. The one problem is it’s poor atmosphere, but it could be because the emitates is a stadium filled with a lot of tourists who aren’t die-heart fans, and that could possibly contribute to the low level of noise. Also the seats are a little far from the pitch. Fantaic stadium. everything is laid out well with loads of room in the seats. Take your own food as it very expensive. walk to Finsbury park tube after game as not so much of a queue there. Excellent ground but zero atmosphere. The view from the away section is awful if your near the front. 0 out of 10. Very, very disappointing. You’ll find more atmosphere at a morgue, just another ‘off the shelf’ stadium with fans who seem more interested in the prawn sandwiches and red wine than the football. Nice stadium, padded seats and good size as well. The ground does look bigger than Old Trafford and even Wembley, but it has lots of leg room so it doesn’t fit as many seats in. I would give it 8.5 stars out of 10, as it is scary when sitting in the very top row with glass. Amazing experience though! 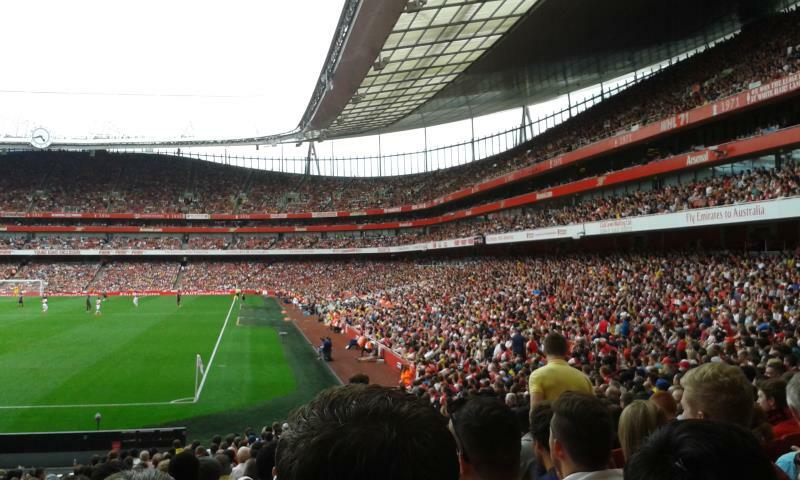 Emirates is good, but lacks in the atmosphere that Arsenal had so much of at Highbury. Easy to get to by tube but remember to allow plenty of time, as queues are hurrendous getting into Arsenal Station.